The SG1575WF Wi-Fi Rectangle Clock is a sophisticated hidden camera that blends in perfectly with your home or office. It looks and works just like a traditional mantle clock, so you can record full 720p HD video in plain sight. You can use it to keep an eye on your loved ones or employees, or to protect yourself from unwanted intruders. Upgrade your surveillance setup with the SG1575WF Wi-Fi Rectangle Clock. The SG1575WF Wi-Fi Rectangle Clock knows how to keep a secret. If you need to record video at home or around the office without anyone being the wiser, just setup the device on a table, desk or a bookshelf and you’re good to go. The clock displays the correct time, so everyone will just assume that it’s a normal mantle clock. If you’re worried that someone may be doing something inappropriate on your property, you can record all the evidence without making a scene. The camera records full 720p HD video, capturing faces and other important details clearly from across a large room. It also uses a wide-angle 125-degree lens, giving you a full view of your property. You don’t have to worry about missing something important at the edges of the frame. Just tuck it against the back wall or next to your valuables and you’ll be able to see everything that’s happening in the room. Using your home or office Wi-Fi connection, you can view, manage, and download all your videos from anywhere in the world. The camera comes with a free app that you can install on your smartphone, tablet or computer. Just login online and you can check up on your property in real-time. If you’re going out of town, you’ll have peace of mind knowing that a live feed of your property is just a few clicks away. You don’t have to keep staring at the live feed waiting for something unexpected to happen. The camera will send you a message as soon as it detects motion on your property. When you see a message from the app on your smartphone, tablet or computer, you can login to see what’s happening in real-time. If there’s an intruder on your property, you can contact the local authorities immediately. One security camera might not be enough when it comes to keeping your property secure. You can install as many SG surveillance cameras as you need on the same system. When you login to the app, you can access all your videos in just a few seconds. 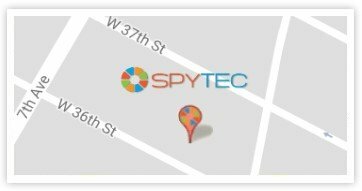 You can monitor multiple locations at the same time, helping you simplify your surveillance setup. The SG1575WF Wi-Fi Rectangle Clock is a hands-off surveillance camera. You can leave it set up for months on end without having to constantly fuss with the device. It plugs directly into the wall, so you don’t have to worry about recharging the battery. You can also record up to 32 hours of HD video using the included 32GB memory card. If you have access to Wi-Fi, you can send your files right to your smartphone, tablet or computer. You can also store your files on the device itself and manually transfer them to your computer with a USB cable or a micro-SD card reader. The SG1575WF Wi-Fi Rectangle Clock makes it easy to look after your home or business. Just plug it into the wall, connect it to the app on your smartphone, tablet or computer and you’re ready to start recording. See everything that’s happening on your property with the SG1575WF Wi-Fi Rectangle Clock.